The North Okanagan’s Vital Signs® is a bi-annual check-up that measures the vitality of our region, and identifies trends and priorities across 10 issue areas critical to the quality of life in our region. 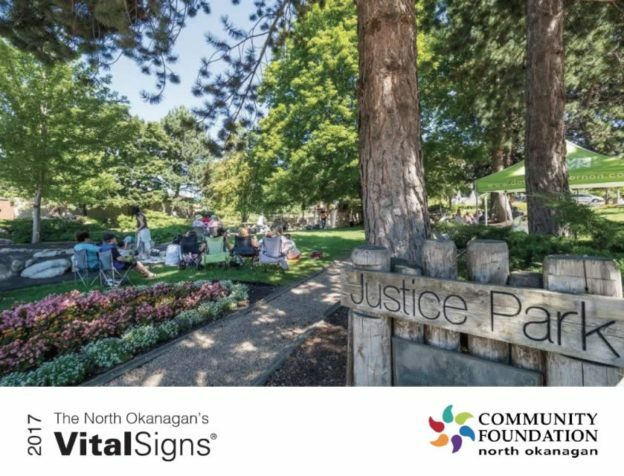 As part of a Community Foundations of Canada (CFC) national initiative the Community Foundation of the North Okanagan released our 3rd local Vital Signs® report on October 3rd, 2017. To learn more about Vital Signs, please visit: www.vitalsignscanada.ca You must have Adobe® Reader installed on your computer in order to view these. If you need to download the free program, click here. This entry was posted in News on October 3, 2017 by Community Foundation of the North Okanagan.